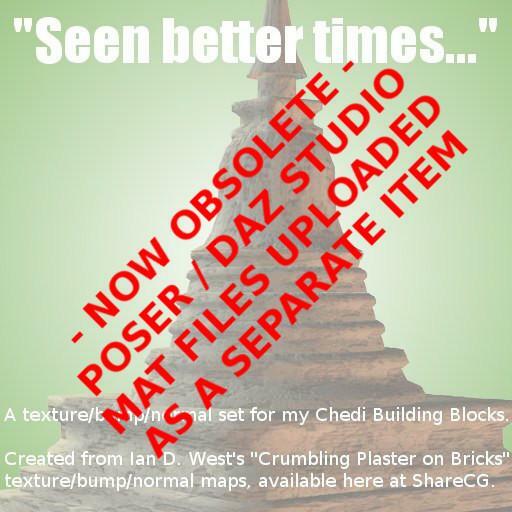 2½ years late, but I've now uploaded the CBB Seen Better Days Poser/DAZ Studio Mat Files for this. The new download includes the texture and bump map from this download. The only thing not included is the normal map.